Altered Instinct: Quartet: Why a new edition? Quartet: Why a new edition? 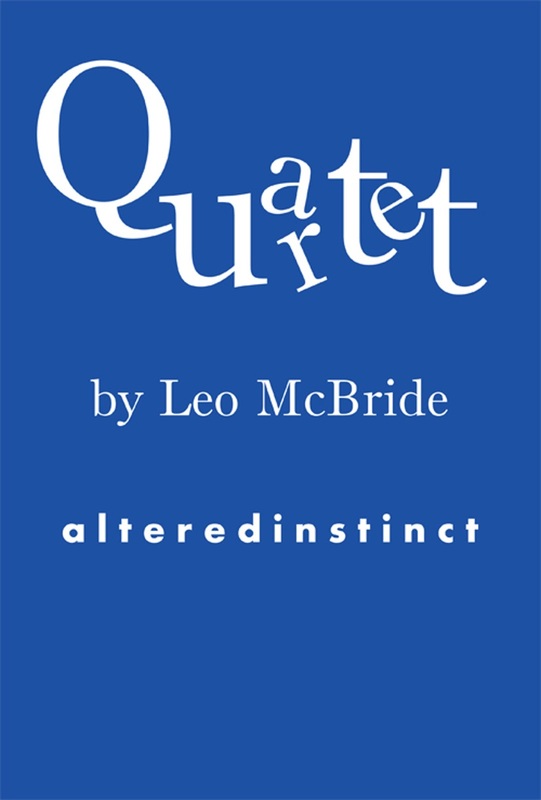 Author Leo McBride sits down with Inklings Press to discuss the reasons behind his creation of a new edition of his fantasy anthology Quartet. 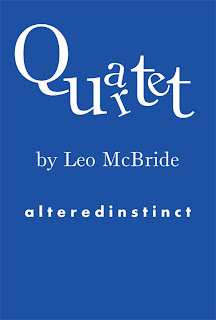 So hi, Leo, and congratulations on the new, revised edition of Quartet - what made you decide to revamp the book? Hi there. Well, I made the decision a little while back. I had picked up a book by someone else and, as I mentioned in another blog post here, there were a number of things wrong with that book and its formatting that made me just feel uneasy. And it made me feel uneasy because it made me think that some of the same things I regarded as flaws with that book were things that could just as easily be said about my own. For starters, the cover. When Quartet was first published, in part it was put in print to test out the process of publishing to Amazon. I was in the middle of helping to put together the first publication for Inklings Press at the time too and Quartet helped me test out that process before having to do it on behalf of someone else - several someones in fact with the first Inklings title featuring five authors. So the cover at the time wasn't as carefully put together as it might have been and on reflection, it didn't speak to the contents properly at all. It didn't look like it had content that was of a fantasy nature, so i don't think it was destined to draw people in who might be looking for the kind of stories it contained. So, I sat down and redesigned the cover, as well as adding some extra content. I added a couple of short author notes after each story to try to explain where in my head the inspiration for the stories came from, and rounded it off with a Q&A discussing why the stories were picked. And you're trying it out at a new price? Yes, originally it was 2.99 - take your pick of dollars or pounds depending on which Amazon you use - or the equivalent in other countries. But it is only four stories, so I thought I'd bring the price down. 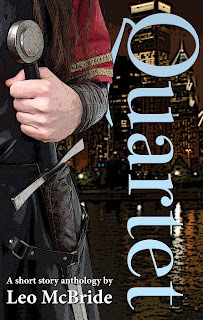 More than anything, Quartet is an introduction to my writing - and I want it to be at a price where people think sure, I'll have a look, rather than being put off by paying more. Will it stay at the lower price forever? I'm not sure, we'll see how it does. You say there's new content - does that mean changes to the actual stories? No, the stories are exactly the same, word for word. The extra content, including a new introduction, is everything around the stories, to frame them and to just show a little extra care for the book, to right some of the wrongs from its first publication. Make no mistake, I'm still proud of that first publication - it's just a simple matter of having learned some things about the publishing process and wanting to improve Quartet based on what I've learned. Well, I have a story coming up in the next Inklings publication, Tales From The Universe, and I also plan to have another anthology of my own out later this year. Beyond that, my main goal is to finish a novel this year. I've got two simmering away, and want to finish at least one of them. Any hints as to what they are? I'll do better than hint, I'll give you the first chapter of Fresh Blood that I recorded. Excellent, that'll keep you busy! Last question for now, what are you reading at the moment? Home World by Bonnie Milani - smashing sci fi story that simmers with old school elegance. Reminds me of my days playing the Traveller roleplaying game. Review to come!